What's the object of your Desire? A couple of new HTC handsets have apparently popped up online, with leaks revealing a pair of lower-end offerings. First up is news of the HTC Desire 200 which is also going by the model ID 102e, with details from Taiwanese certification authorities picked up by Chinese site VR-Zone. According to the leak the Desire 200 will sport a 3.5-inch, 1GHz processor, 512MB of RAM, 4GB of internal storage, 5MP camera and a 1400mAh battery. 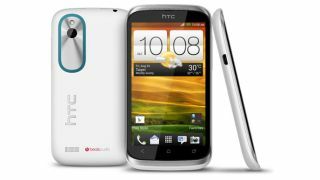 Rather oddly the Desire 200 is reported as running Android Ice Cream Sandwich, and if that's the case it would be a bad move from HTC as Jelly Bean is now common in all new smartphones. We may never see the 102e on our shores however, as other reports claim this handset could well be destined for the Asian market only. The Desire 600 looks to be a far more interesting proposition after a benchmark result of the handset was spotted by GSMinsider, which claims the handset will feature a 1.2GHz processor (potentially quad-core), 960x 540 screen resolution which may be 4 inches in size, and running Android 4.1.2 Jelly Bean. There's also more of a chance the Desire 600 will see a global rollout with the device which showed up in the benchmark apparently built by HTC Europe. If the HTC Desire 600 does turn out to be true - and there's no guarantee of that as benchmarks can be easily forged - then it looks like it will replace the firm's current mid to low-end device, the Desire X. We haven't heard anything official from HTC on either of these handsets, so for now we are strictly treating the reports as rumour, but we will be keeping our eye out for more information.